BTOBET PRESENTING BOTH the 1st CASINO-GAMES AND SPORTS BETTING RECOMMENDATION ENGINE AT ICE 2017. 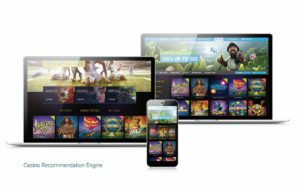 Recommendation engines (RE) are arguably one of the trendiest uses of data science in e-commerce and entertainment markets today, but not yet sufficiently widespread in our specific iGaming and Betting industry. BtoBet is the first company in the industry providing both Casino-Games and Sports betting recommendation engine and will showcase its solution at booth S1 320 in London. Nowadays, there are few sportsbook operators that have developed Sports betting RE for their own company use, and even fewer Software providers are offering only casino’s B2B RE. 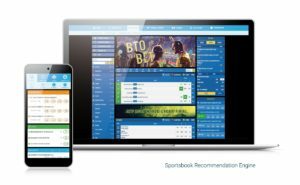 BtoBet’s combination of both Casino-Games and Sports betting recommendation engine, provides a unique experience to the players. After extensive tests and improvements, our development team has reached the current precision of the algorithm that rules the process, no matter if it is for sports betting or games. How does BtoBet’s RE work? According to a recent study, 15% of visitors admit to buying recommended products. Cross sales and upselling efforts influence the increase of revenues. Recent research said also cross-selling techniques increase bets by 20% and profits by 30% and confirmed that more than 73% of users prefer personalized product experiences. Why should this be different in our industry? The job of the RE system is to open up to the users whole new products and possibilities, which they would not think to directly search for themselves. BtoBet’s B Neuron System is a hybrid recommendation engine which can provide more accurate recommendations than traditional approaches. In the Casino RE, all the Games are recommended according to similarity, comparing the attributes – such as theme, volatility, category – of the games and player’s preferences. The Sports betting RE is available for online and mobile betting, can control and suggest bets or events, including virtual, live and eSports. It acquires and analyzes the bettors’ behaviour following Sport, Category, Tournament, Competitors, Market Types preferences. Moreover, BtoBet’s RE is regularly re-trained in an extremely short time frame, with any new data and player’s behaviour, fully updating the system and every single player’s profile precisely. The future of the RE? Statistics also confirmed that recommendation tools considering location/time to further personalize the gaming experience make product suggestions more relevant and contribute to higher conversions. At the moment, we are finalizing a technology that is also going to extend the recommendation engine to the retail environment.